We love you all and we really mean so we love each one of you, yesterday was an awesome day for our subscribers as we told you we booked 25,000+ in our First Call of February. We shall look for another opportunity so that we can end the month with 40,000+ Profits. 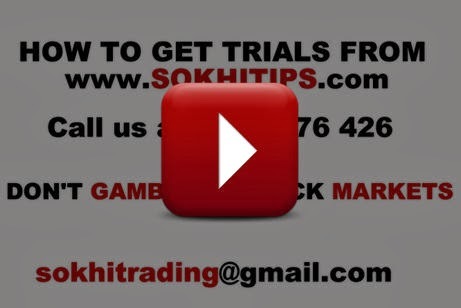 IF YOU NEED to GET TRIALS or IF U NEED TO VERIFY how we GO ABOUT TRADING then u NEED to SEE this VIDEO which we have made especially for you all. GOOD NEWS is that even subscriber with small capital 50,000 - 1,00,000 can now join us for only Rs 10,000 for 12 months (here we shall give only Nifty Calls).